The Next Session Starts May 1st, 2019 but you can start right now. Learn everything you need to know to start teaching meditation. Our approach is practical and non-dogmatic. You’ll learn to teach effective and simple meditation techniques that cultivate Present Moment Awareness, Calm Focus, Transcendence/Self Discovery and Energized Body and Mind. Enroll today and you’ll get access to the first week of training right now. At the start of the next training you can continue the rest of the course with your classmates. If for any reason you don’t want to continue the training, you can receive a full, no-questions-asked refund within the first 7 days after registration. This means you can try the course, learn multiple meditation techniques, take our mind-type assessment to learn which technique works best for you, and see if you are ready to take the next step and become a teacher. Completely risk free. In the first week you'll learn about the four categories of meditation and which technique is most suited to you. You'll learn about mind types and get to know your mind type and how to choose the category of meditation you will practice as your primary meditation throughout the training and that’s just the beginning. Teach the right type of meditation for every person. Not everyone resonates with the same form of meditation. Some people find mindfulness easy and others find it difficult. Some people can effortlessly relax into transcendence with a mantra while others find it extremely difficult. We’ve discovered why. Everyone has a mind type. A natural, background state of awareness that changes the way they interact with everything, including meditation. All forms of meditation lead to relaxation but after that they vary widely in the direction they train the mind. As part of our training you will learn the mindtype method. A simple approach to find out which forms of meditation will be difficult for you and which forms of meditation will feel easy and blissful. You can then apply the mindtype method to teaching your students. You want to become a master meditator. You want to know much more about the four central types of meditation and push your daily meditation practice to deeper level. You are looking to understand the depths of what meditation is and isn’t and, of course, learn how to meditate yourself. You work in the wellness field—maybe you’re a yoga teacher or a mental health professional. You know how powerful meditation can be, and you want to learn to teach it so you can create more professional opportunities. You want your clients to sleep more soundly, live with less stress or anxiety, and enjoy a deep quality of living that only meditating can provide. You’ve experienced the profound effects meditation has in your own life and are eager to share the practice with as many people as possible. You want to help friends, family members, colleagues, and even strangers live on a deeper, more meaningful level. You want them to thrive, living the happiest, most connected, and most fulfilled version of their life—and you’re ready to play an instrumental role in making that happen. "This has been such a great and challenging experience that has not only provided the tools to help me continue to expand my practice over the coming years, but also created a solid foundation and level of confidence necessary to share these techniques with others. I'm so excited to begin teaching! Thank you so much for creating this program, and good luck with your future classes!" "I just wanted to say a huge thank you for the knowledge and expertise you provided in this course. I had taken a previous certification in the Shambhala lineage and I have to say I did not come out with the confidence to teach that I do after your course. If you every offer an online advanced training I would be the first to sign up." This at-home 200 hour meditation teacher training covers everything you need to know to start teaching the four phases of meditation--the four main categories of meditation from around the world. You will learn to teach three basic meditation techniques from each of the four categories of meditation--Present Moment Awareness, Intention, Transcendence/Self-Discovery, and Energized Body and Mind meditations. Everyday you will have specific meditations to practice, lessons to follow, and assignments to submit. You will be taught about the benchmark experiences that accompany the body and mind moving toward different states of awareness and how to respond to student's questions or unique experience during meditation. You will learn how to choose which meditation is best for you and which one is best for your students to practice. This course has been designed to be as clear and concise as possible to teach you everything you need to know to be a powerful, effective teacher and position you for deep transformative experience throughout the training. You will be expected to work hard, but the pay off is incredible. The course takes a minimum of 100 days to complete so you can expect to do about 2 hours of course time each day including daily meditation, assignments, talks and lectures, and reading. You can see the full course syllabus by clicking here. “I’ve been practicing meditation since I was a 4 years old. In fact, my mother was on a 6-month meditation retreat while she was pregnant with me, so you could say I was meditating before I was even born. In my life I’ve done many things, I’ve been a musical recording artist, worked corporate jobs in advertising and sales training, and used my college training in biology and agriculture to help people in developing countries. Along the way I met my wife Liddy who is my partner, co-creator, and mother to our 4 children. In 2008, at the height of the global financial crisis, I decided to leave the security of a well-paying job and travel with my daughter and pregnant wife to take training as a meditation teacher. At the time I had no idea how I was going to support my growing family but I knew that I had to follow my life’s calling. The knowledge that was passed on to me during my teacher training was profound but when I graduated I had no money, my wife was a month away from giving birth, and I had to hit the ground running. Many of the people I met didn’t believe that “meditation teacher” was even a real occupation. Despite facing many challenges together, we thrived and I’ve now taught many thousands of people worldwide, including many well-known names, and some of my personal heroes. This training is the course that I wish was available to me when I got started. It is the culmination of everything I’ve learned as a teacher, a guide, a coach, and as father working to be able to support my family through work that I love. Charlie’s work as a meditation teacher has been featured in: The Wall Street Journal, The New York Times, Well and Good, and MindBodyGreen. 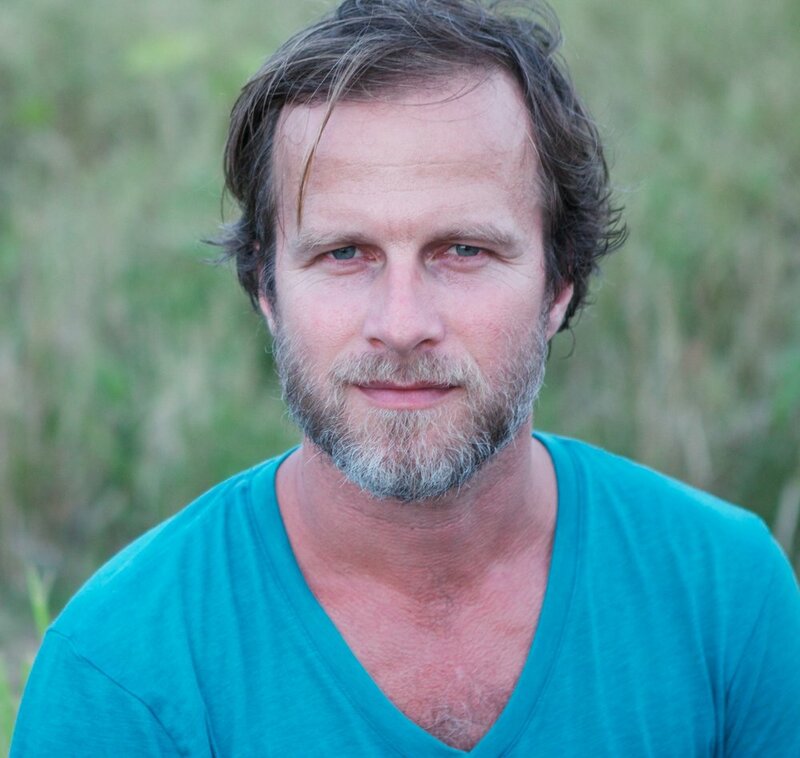 He is a lead teacher for MindBodyGreen's online meditation program and has been a featured speaker and workshop leader on meditation at Cannes Lions, MBG Revitalize, Wanderlust festivals, Art Basel, and the Las Vegas Downtown Project. He has trained and mentored meditation teachers who have now become leaders of the new meditation revolution. Charlie has taught over 7,000 people to meditate from all walks of life including convicts, CEOs, celebrities, monks, and stay-at-home-dads. He has yet to find a person who is incapable of meditating. "Charlie is a very knowledgeable meditation teacher. 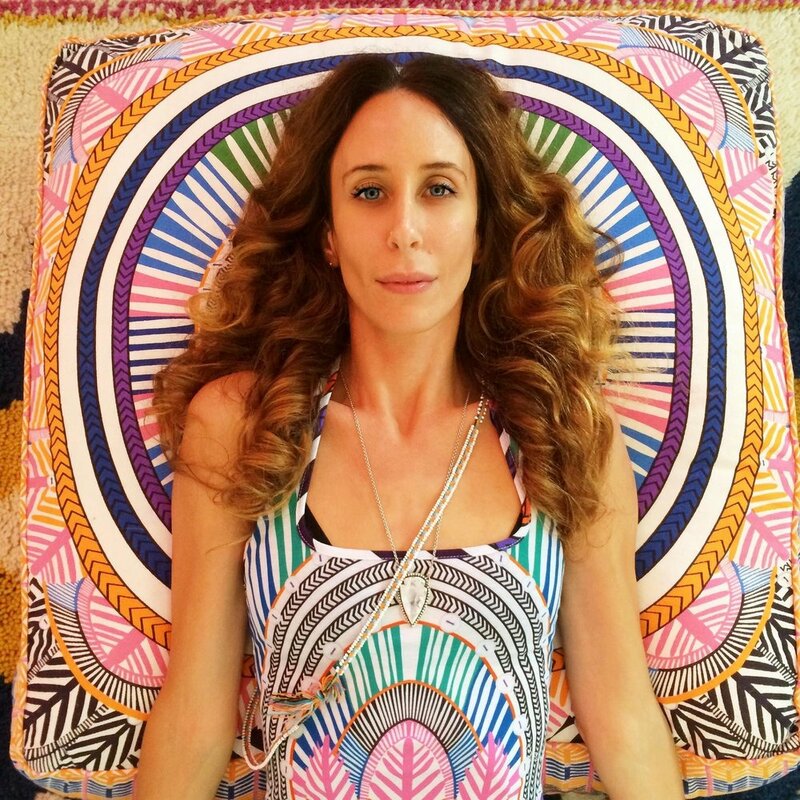 Vedic meditation has given me the ability to center myself and relax in a particular moment as well as made me adaptable and flexible outside of meditation in this crazy entertainment industry." — Jordana Brewster, Actress The Fast and the Furious franchise, Lethal Weapon. "Charlie is a game/life changer. He teaches in a truly non-ego, human, fully approachable and all encompassing way. I am truly grateful to call him my teacher and my friend." Charlie, thank you SO much for everything. I am so happy that I waited and got to take the course with you. I feel like this is really going to change my life. I feel it already is. So, many thanks." — Rooney Mara, actress and Academy award Award nominee, Carol, The Girl With The Dragon Tattoo, The Social Network. "The meditation practice Charlie taught me changed the course of my life. His glowing magnetic presence and the joyful ease in which he conveys his vast knowledge and insight resonated deeply and left me with a daily meditation practice that has propelled me towards my dreams." The 200 hour on-line Meditation Teacher Training course sounds amazing! Can I teach Vedic Meditation once I complete this training? When you complete this training you will be certified to teach techniques in four different categories of meditation. One of the categories, Transcendence/Self Discovery, is the category that Vedic Meditation falls into. You will learn to teach three universal mantras, but if you want to learn to give students personal mantras as in Vedic Meditation you will need to have further training. See our other page on this site that describes the path to becoming a Vedic Meditation teacher. How much time do I need to allocate every day for the training? The daily schedule is quite flexible and can fit your needs. Some students like to finish the training as quickly as possible and complete it within 100 days. In that case you would need to spend 2-3 hours per day including meditation, reading, watching talks, and completing assignments. Each week you will need to upload a video of yourself teaching the technique you are studying that week to demonstrate yourself teaching. The teaching videos don’t need to be word perfect, simply demonstrate you can teach the technique. If you want to take the course at a more leisurely pace then you can spread it out over a longer period. You can take up to 200 days to complete the training in which case you would only need to spend about an hour each day including your daily meditation. What if I can't free up time to watch the course material as it is released? Keeping up with the course material is key to rapid transformation and mastering the course material. That said, we know that things come up that may make it difficult to complete the training in 100 days. So we have given an additional 100 day grace period for individuals who need to slow the pace of the training. Even if you aren't able to complete the course work each day you are expected to meditate each day and you will need to set aside time each week to keep a steady pace so you don't fall too far behind. What if I start the training and can't complete it, don't like it or want to stop for some reason. Can I get a refund? If for any reason you don’t want to continue the training, you can receive a full, no-questions-asked refund within the first 7 days after registration. The very first day of the training you will get an outline of the entire course. You will be able to check the course out for one week to see if it is a good fit for your life and your desire to become a teacher. 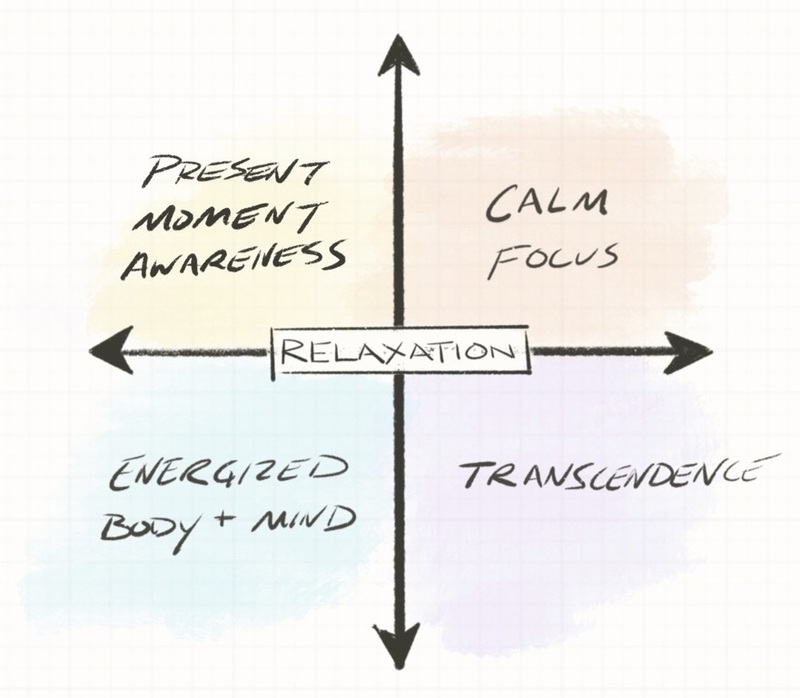 In the first week we will go deep getting to know the four categories of meditation. In week two we will begin to learn to teach. If something comes up after the first week and you know you won't be able to complete the training as planned, we will work with you to come up with a way forward or transfer you to a later training so you can complete the course work and be eligible for certification. Can I transfer to a later session? You have up to 200 days in each session to complete the training. This should give plenty of time to slow the pace to fit with your life style or adjust if challenges come up. If you still need or want to transfer to a later session you will need to begin the training again at the first lesson and pay a transfer fee. What is the deadline to register for the 200 hr Teacher Training? You can register up to the first day of the training and in some cases we’ve even allowed people to register after the training has started. Be aware that our courses have a maximum size and sometimes they fill to capacity. This is especially true in the beginning of the year during our February courses. Are the daily lessons pre recorded? What is the format? The lessons are pre-recorded video with quizzes and assignments. Is there much live interaction with the teacher? Yes. Charlie will be doing live-streamed Q&As during the course, interacting with students on the forums, and giving feedback on select teaching videos. How is the homework organized? Is it assignments to email, etc? Throughout the course you will do both short quizzes and longer assessments. You will also be given a recommended reading list and a meditation program that you will need to follow. After you learn to teach a technique you will upload a video of yourself teaching that techniques to receive feedback from your peers and in some cases feedback from me. You will need a computer or smart phone to view the lecture videos and record your teaching videos each week. Do you offer any payment plans? We do not offer any payment plans at this time. We offer a limited number of full scholarships to all of our courses for people who are in genuine financial need. These scholarships are usually only granted for our introductory courses because completion of advanced courses and teacher trainings is difficult if you are in an unstable situation. However if you feel that you may qualify for a scholarship you are invited to apply here.